If you don’t have the time or the energy to make the pastry shell used in this recipe just use a bought one, but make sure you get one big enough, as you don’t want the filling overflowing in the oven. 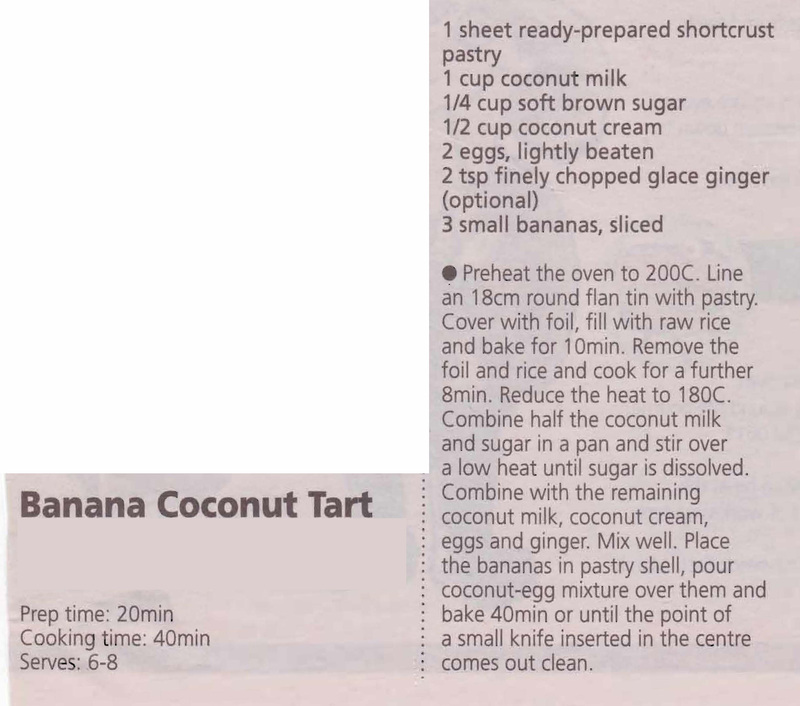 This entry was posted in All Recipes, Desserts, Uncategorized and tagged 2000s, banana coconut tart, bananas, coconut cream, coconut milk by bebsrecipes. Bookmark the permalink.